In our How to Select Your Mechanical Equipment Screening publication, we state that designers should either calculate their own wind loading or request this engineering from the manufacturer. Regardless how it comes to fruition, this level of engineering is very time consuming and expensive. Unfortunately, designers do not have the time or the resources to vet manufacturers’ proposed products and designs. Architects and engineers must count on the reputation of these manufacturers to provide a dependable solution. PalmSHIELD believes that we must be proactive in providing our customers with credible engineering analysis they require to assure our screening meets the latest and most stringent IBC and UBC 120 mph wind load requirements. PalmSHIELD is now providing a broad-based engineering analysis that provides multiple post sizes and panel widths readily available to all of our customers. 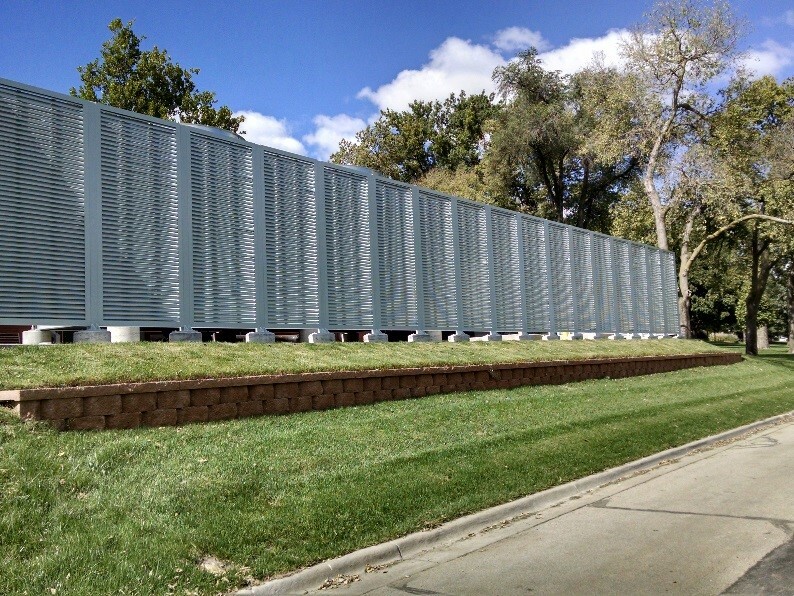 This analysis is based on our 100% coverage horizontal louver design. It takes into consideration our fully framed panels and 64% openness. No more guess work. 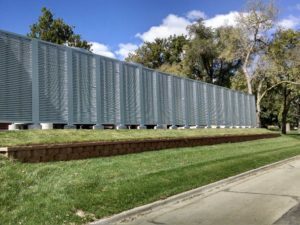 PalmSHIELD is the most popular free-standing architectural screening. We are now fully engineered. Feels good to be the best and to be able to prove it.